Mountain music is very much a part of the Smoky Mountains experience, and it’s yours to enjoy every Saturday night through October at the Bryson City train depot. 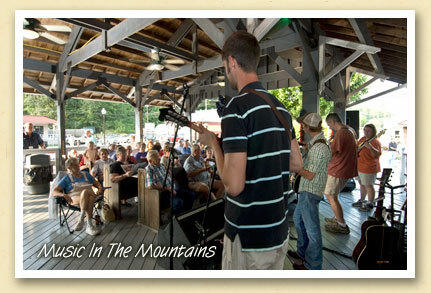 “Music in the Mountains”, the town’s free Bluegrass concert, features regional talent including the popular group Reel Tyme (above). The two-hour show begins at 6:30, courtesy of the Swain County Tourism Development Authority.